I/O Base expansion 50 feet (15 meters), continuous shield with built in terminator. Cable, Left Side, One - 24 Pin 90 Degree Connector, 3 Meter. 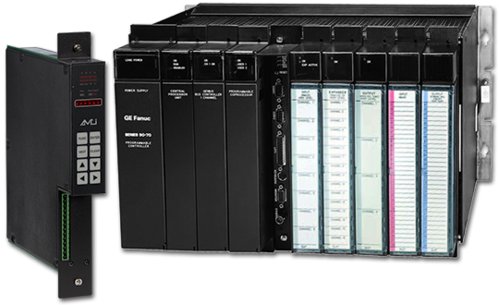 GE CPU 366 Module (240K Bytes configurable Supports Profibus DP Master (Version 1 supported). One Profibus port and one RS-232 service port. GE Input module 125 VDC 16 point POS/NEG logic. Module does not have UL certification.